I still think of this as a travel image. I was intrigued with the creative display of shoes in a shop in Florence. I kept going back to the photo image to discern how I could use it for a painting. 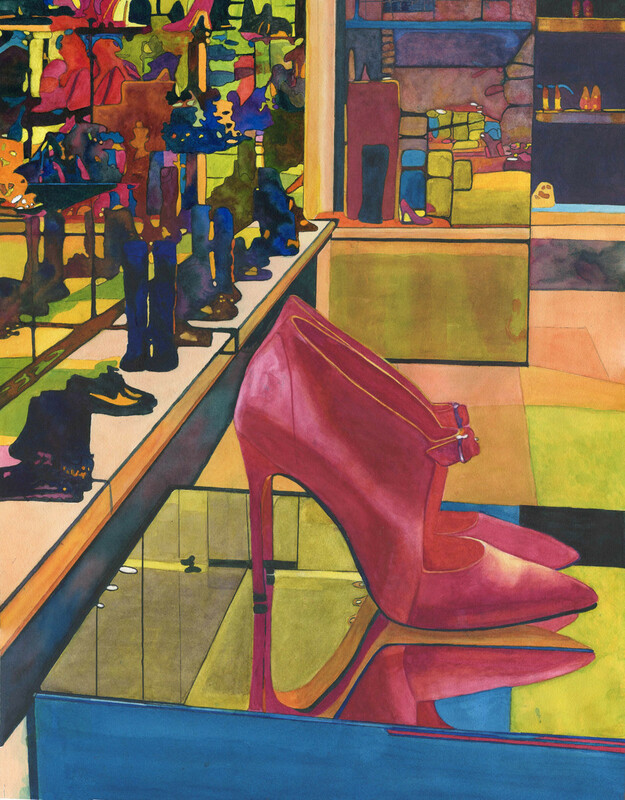 I decided that I would abstract somewhat in the surrounds of the shoes, yet still see that it is still a shoe shop. This was a grand opportunity to play with color.